Sharp has announced that it’s launching a new range of budget HDTVs. 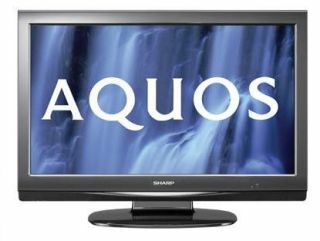 The new Aquos D44E LCD TVs come in a range of sizes starting at 26 inches, at a price point of £499. The models in the new AQUOS D44E series – LC-26D44E, LC-32D44E and LC-37D44E – have a resolution of 1,366 x 768 pixels and a supposed contrast ratio of 10,000:1. They’re not full-HD 1080p screens then, but that’s a minor consideration considering the quality of the panels in comparison to the fairly modest price. The 26-inch and 32-inch models (LC-26D44 EBK, LC-32D44) are available in the UK from late March 2008 with RRPs of £499 and £599 respectively. The 37-inch version (LC-37D44 EBK) will be on sale in the UK from July 2008. Pricing is not yet confirmed for this model, but you can bet that all of them will be available for less than their initial recommended prices.